The title doesn't convey what one would think it would. 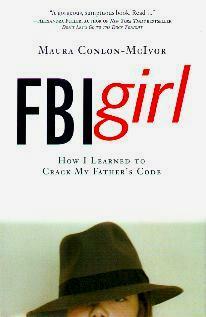 It's not about the FBI per se, but rather about a little girl growing up with a father who worked for the bureau. The author's evocative prose sets the scene throughout the book and you gently flow along. This is the story of her growing up in the seventies on the west coast. Her active imagination had her up to all kinds of childish pursuits - in the name of innocence and fertile thoughts. Her family, of Irish descent, goes through the motions any family of six would, and I enjoyed and understood her take on her emotionally and physically distant father. Family members from New York are introduced as is a family tragedy in her young life. I found her story enchanting and beautifully written in extraordinarily enlightening detail, without seeming as though she "padded" heavily. Instead, every page was convincing and easily followed by the next en route to her imagining what her father was up to and how she was going to be able to help him when she grew up. You're kept abreast of her siblings, especially one, and are swept along effortlessly as her life unfolds. Conclusion - Great story and easy to read.